Last month was a momentous one for those of us who work alongside the renewables industry. 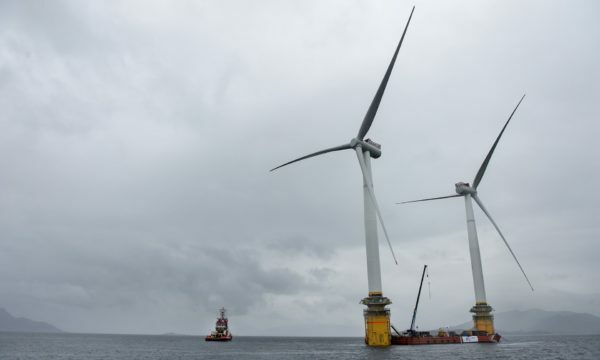 The world’s first floating offshore wind farm began delivering electricity to the grid. Located about 25 kilometres off the coast of Peterhead in Scotland, the Hywind Scotland project is not particularly far from shore. But floating turbine designers aim to go much, much further. The whole point about floating foundations is they can be towed out to places where the water is too deep for existing bottom-attached structures. That extra distance means far more energy can now be harvested from the wind above the waves. But it also means construction and operations teams must travel further to get on site, and there is greater distance to travel in the event of an incident. So while the advent of floating offshore wind is great news for the industry, it also means project owners will need to revisit safety protocols and procedures. As part of this, it will be vital to make sure all personal protective equipment (PPE) is properly maintained and checked. Many offshore wind operators are already switching from manual inspection tracking methods to smart PPE management systems such as Papertrail. It’s a move that not only improves safety, but also boosts efficiency and reduces costs, both of which are important considerations in the ongoing struggle to cut the levelised cost of energy for offshore wind. Recent developments might mean it is a good idea to float the idea at your company, too. Find out how one offshore wind contractor is maintaining an unblemished safety record with help from Papertrail. It’s increasingly clear that smart personal protective equipment (PPE) management can help companies with workforces operating in challenging conditions. But what of the companies that train those workforces? If you are a training company specialising in, say, working at height, then taking good care of your PPE is as important for you as it is for your clients. Perhaps more so, in fact, since you’re supposed to lead by example. No small wonder, then, that training companies have been among those moving quickest to embrace smart PPE. Take XI Training , one of the leading working-at-height compliance specialists in the UK. The company switched to Papertrail … and the results have been spectacular. For one client, with operations in Shetland, XI Training estimates the switch from manual to smart PPE systems may have cut down time and effort by 60%. Nor is XI Training alone on this. Other training companies, from C2 Vertical Safety in Sweden to 5th Point in Australia, are using Papertrail to wave goodbye to lost administration time, errors and poor asset utilisation. What about you? Read more about how XI Training is benefiting from Papertrail. If you were at the A+A international trade fair and congress last week then you’ve probably got a head full of good ideas about health and safety at work. Maybe you’ve come back with tips for clothes that will keep your employees dryer and warmer, or thoughts about how to save workers trapped in a sinking car. Don’t forget about the need for smarter personal protective equipment (PPE) management, though. Being able to track the status of your PPE quickly and easily isn’t just about cutting administration effort and cost, but also about maintaining safer operations. Admittedly, working out whether it is worth the effort to change from your current management system can be difficult, though. That is why we have just published an animated video to show the benefits of Papertrail combined with DMM, which offers our platform as its standard PPE management system for customers. The video shows how smart PPE management can benefit sectors ranging from renewable energy to travel and tourism. It also demonstrates how keeping track of PPE information can be done without the need for a single keystroke thanks to barcode reading. Most important, though, it illustrates how you can make sure you always have compliant, in-date equipment available for any job, by using Papertrail to track equipment inspections and certifications. 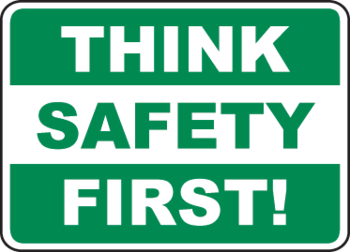 Safety should always be top of mind in the workplace. But the upcoming A+A international trade fair and congress is a good excuse to make sure your health and safety systems are all up to scratch and in line with the latest best practice. The show is always a great way to learn about safety-enhancing products and to exchange tips with industry peers. And if you look after personal protective equipment (PPE), it’s not just new products you should be checking out. Companies around the world are also benefiting from smarter PPE management systems, which can help cut costs while improving safety. The Australian working-at-height training firm 5th Point, for example, uses Papertrail to overcome what it calls the “daunting prospect” of inspecting industrial rope access equipment. 5th Point relies on equipment provided by DMM, which offers Papertrail as its standard PPE management system for customers. Using the system, “you’re looking at saving up to 90% of your administration time during an inspection,” says Robert Partridge, product manager, without having an impact on health and safety standards. That is probably why it has been adopted by companies whose workers operate in some of the harshest conditions in the world. Technicians at Offshore Painting Services, for instance, maintain wind turbines out in the North Sea and cannot afford to work with faulty PPE. The company uses Papertrail to help safeguard the integrity of its equipment, and has yet to suffer a lost-time incident despite logging hundreds of thousands of on-site man-hours. If that’s the kind of PPE safety record you would like for your company, then book a demo or join us at A+A in Düsseldorf, Germany, from October 17 to 20. Visit Papertrail at A+A at the DMM (Hall 6/F40) and SingingRock (Hall 6/C48) stands. Do you know what PPE management really is? If you’re heading to the A+A international trade fair and congress then it’s a fair bet you already know what personal protective equipment (PPE) is. But are you on top of PPE management? While PPE is all about equipping your people with things that will keep them safe, PPE management is about knowing those things are up to the task: that they are not out of date, have passed all relevant inspections and so on. It is important because in PPE the status of an item can be just as important as its availability. A harness that is not in its legal inspection date, for example, is no more use than no harness at all. For all its importance, though, PPE management is still often relegated to the status of an administrative chore. And in fairness, managing PPE with manual methods such as spreadsheets can be a pain. But there is no need for it. Top 3 tips for working with PPE inspections. Offshore Painting Services, cannot afford to work with faulty PPE..
And if you are still hungry for information then book a demo or look us up at A+A in Düsseldorf, Germany, from October 17 to 20. There’s a comment in the A+A international trade fair and congress programme that we couldn’t agree with more. “The use of new materials and of smart and innovative approaches enables solutions to be developed that substantially enhance safety and the protection of health,” it says. We back that sentiment 100% because at Papertrail we are working hard to increase the penetration of such smart solutions in the market. As we mention in a recent white paper, adding intelligence to personal protective equipment (PPE) systems can help improve safety not only by making it easier for asset owners to check on the status of equipment, but also by improving quality control. “Smart PPE systems can be integrated with manufacturer inventory databases so equipment data can be imported seamlessly and easily,” the paper says. “This integration allows equipment owners to create and maintain a ‘digital certificate of ownership’ that registers every significant point in the lifespan of an item, from purchase through to disposal. More widely, smart systems such as Papertrail represent a step towards a future where every PPE item can be tracked, queried and evaluated in real time, as part of the Internet of things. It’s an evolution we are very excited to be a part of, and hope to discuss more widely at A+A in Düsseldorf, Germany, from October 17 to 20. See you there. How smart is your PPE management system? Being smart is all the rage these days. You have smart watches, smart cars, smart TVs and even smart cities. But what about smart personal protective equipment (PPE) management systems? According to a new white paper from Papertrail, smart PPE management is a reality now… and could be bringing benefits to your business today. “These systems use automated remote data entry to create a permanent, one-time, cloud-based record of each PPE item, which can then be updated at any time with inspection records posted on site via a mobile device,” says the paper. Doing this makes it easy to comply with the demands of professional bodies, meet standards for legal inspections, cut compliance administration, reduce risk for clients and workers, prevent equipment supply bottlenecks and extend the lifetime of PPE equipment. A move towards smarter PPE management is being driven by shortfalls in current record-keeping approaches, which include spreadsheets and even paper-based files. These soak up administration time and are prone to errors. Smart PPE management systems, on the other hand, can help cut administrative workloads by more than 90%. At the same time, the white paper notes, the volume of PPE that organisations must handle is increasing. Research shows the global PPE market could increase at a compound annual growth rate of 6.5% between 2017 and 2022. Much of this increase is down to corporate use: at the start of 2014 more than a million businesses and 10 million workers in Britain alone were estimated to carry out jobs involving some form of work at height every year. Finally, tougher health and safety regulations means there is more of a duty on organisations to show that PPE equipment has been maintained and checked according to relevant standards. Moving to a smart PPE management system can allow you to create and maintain a ‘digital certificate of ownership’ that registers every significant point in the lifespan of an item, from purchase through to disposal. Furthermore, says the white paper, such smart systems are expected to grow in value over time, as they increasingly evolve to receive and manage status data from future generations of connected PPE devices linked to the rise of the Internet of Things. “Indeed, over time these smart PPE systems are expected to become the foundation for much broader platforms that can be used for a wide range of applications, from inventory control through to safety compliance,” it says.